There’s something here for everyone and especially those of you who love history. Whether or not you are a railway enthusiast, engine lover, local historian or simply someone who wants to know more about the past, we have dedicated this section to those who just want to know more. This section includes posts on why a railway branch line from Havant became an important requirement, how it was built and the struggles to finally completed it in 1867. the running of the railway and the benefits it brought to the community served and its sad demise on its closure in 1963. This section concludes with what happened since the closure of the branch line and how the legacy of the railway has provided great benefits to the community. This section is for the real Railway Enthusiast.The most famous locomotive on the track was “the Terrier” and it was a unique engine which huffed and puffed along the line with incredible prowess and truly earned its reputation as a reliable little workhorse. It has spawned a number of devotees and you will find many interesting stories and images in this section. 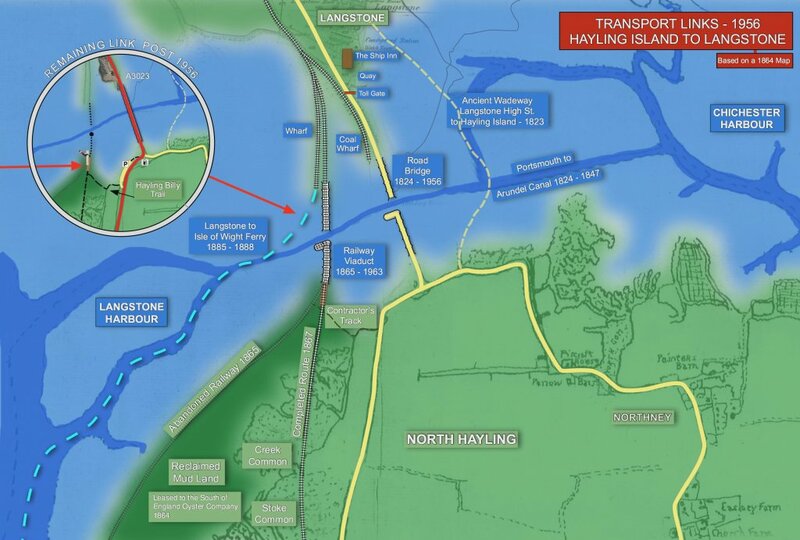 As with many stories of the industrial revolution the Hayling Billy also witnessed a period of growing prosperity which in turn spawned a number of industries throughout its time. For example the stories of the Oysters are famous locally and you will find a rich seam of memories in this section. This is a wonderful section which recounts the wide and varied memories of many a local. Stories of Hayling At War are extremely interesting and tell of the most harrowing of times for the island. It also dwells on the memories of more gentle times such as train journeys and holidays and picnics along the way. All bringing a rich colour to the Trail and helping it come “alive”. With the passing of the railway the trail fell into disrepair until various people became passionately involved with its resurrection. This section is devoted to those who helped bring the Hayling Billy back to life and what is happening today to continue its renaissance.